Visual editor or TinyMCE is not showing up in WordPress is quite common issue, in most cases it goes beyond a situation to be solved. Here are alternatives. First and foremost important points are – this problem was present since dino ages, its not that NOW in this update it has been added; nor there is any constant, sure shot fix; its not that TinyMCE itself bad – its quite good. It is WordPress that creates the issue with Visual Editor or TinyMCE. May be it is a Plugin, may be a .htaccess inside wp-includes folder. These are many kind of ways and we think, these might not even fix your painful visual editor or TinyMCE is not showing up in WordPress. It will give you the basic editing panel. Thats enough to copy paste and Publish the post. Now, how you will write the post properly in HTML. First, there are lot of TinyMCE Editors available which you can install on your server separately. Write normally and copy paste the text as HTML. Do not upload any image – that you have to do from dysfunctional Visual Editor of WordPress. Alternatively, you can use another WordPress website, may be your localhost installation to get the HTML from the visual edit. This is definitely not a fix, but far better than wasting a huge time to discover the reason, which who knows may not be solved, just because we do not know the fix. Never do any change in permission of files (CHMOD) – it might solve your issue but can make the WordPress hackable. This Article Has Been Shared 9953 Times! 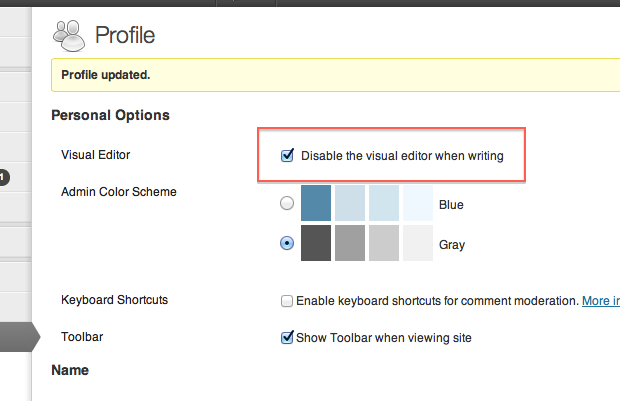 Cite this article as: Abhishek Ghosh, "Visual Editor TinyMCE Not Showing Up in WordPress Fixing," in The Customize Windows, July 2, 2013, April 19, 2019, https://thecustomizewindows.com/2013/07/visual-editor-tinymce-not-showing-up-in-wordpress-fixing/.